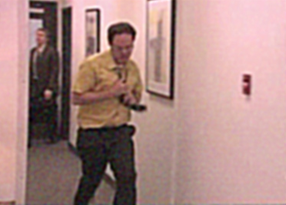 Dwight runs haphazardly into the office, completely out of breath and panting. 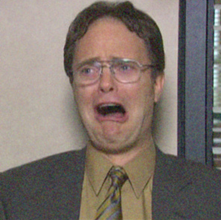 Everyone in the office stops what they’re doing to see what the commotion is and, when they see that it is Dwight, their faces fall and disinterest returns. 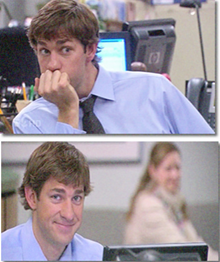 Jim, who has been smiling quietly to himself as he listens to Dwight’s rants, turns around in his swivel chair to face the pair and puts on a face etched with concern. 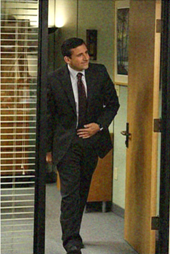 Michael casually opens the door and strolls into the office. Schedule mix-ups and conflicts can be a common occurrence in the workplace. The introduction of Google Apps for business is the game changer when it comes to these types of avoidable issues. Google Calendar enables your employees (and their bosses) to stay in sync with one another. Creating an event and making it known to those invited has never been easier. Simply schedule the event on your Google Calendar for the anointed date and time, invite the relevant people, and track the RSVPs through your E-mail. From events as important as a board meeting about a major merger to events about a company luncheon, Google Calendar makes organizing an event as easy as getting Kevin to eat a whole pie. With Google Calendar, it is also simple to share your entire schedule – or not share your schedule. First, you can share externally; in other words, if you have a website that promotes events, you can create an event calendar and embed it on your website or make it interactive so that customers can select appointment slots. Those external edits made to the calendar will show up on your calendar, your customers’ calendar, and the calendar on the site. Secondly, you can share calendars internally. 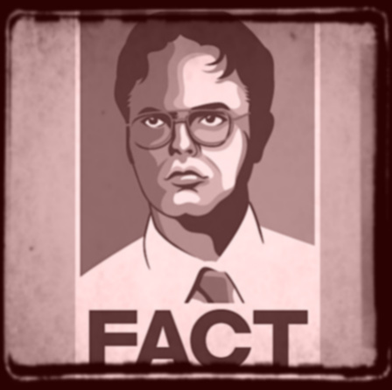 For example, let’s say you have a mildly creepy employee who lives on Schrute Farms, always wears mustard yellow short-sleeve button downs, and is one of your top salesmen. You want this employee to have access to some of your calendar events but not all; ensuring that he is still able to see the events relevant to him but not when you are available or where he can find you. On the other hand, you might want your receptionist to know your availability at all times. Simply adjust how you share your Google Calendar by customizing your settings and individual events of who has viewing/editing access. How are you or your invitees going to remember to attend your event? Google Calendar can be customized to remind you of your event via E-mail and/or mobile with all of the details corresponding to the event (i.e. when, where, who, etc.). An event was canceled last minute? No problem. Always be up-to-date with instant updates and access to your calendar and your co-workers’ calendars. Never miss an appointment – or go to one that was canceled – again. Companies and organizations of all sizes and interests have begun to migrate to Google Apps. Google Calendar is just a piece of the package that enables more efficient, collaborative business to take place. 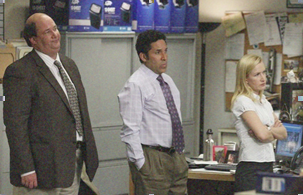 You don’t want your office to be run like ‘The Office’. This situation could have been avoided with Google Calendar.